Our whole family loves the FOX TV series Bob’s Burgers. 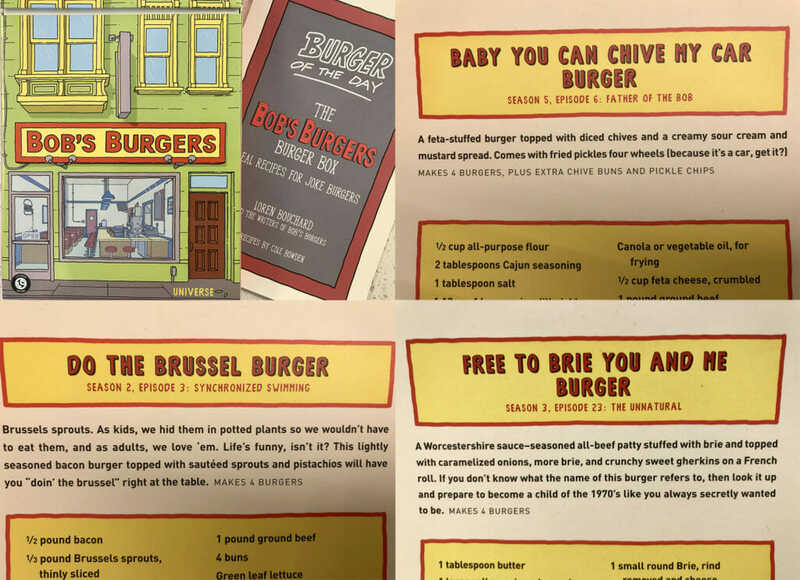 And now that a friend has gifted us Bob’s Burgers Recipes that love affair has gone to the next level. Not familiar with the show? It’s a quirky slice-of-life animated show reminiscent of The Simpsons or King of the Hill. We like it a bit better than those shows though, because it’s less outlandish than the former and less droll than the latter. It’s the quirky humor. And the fact it’s something the whole family can agree on. 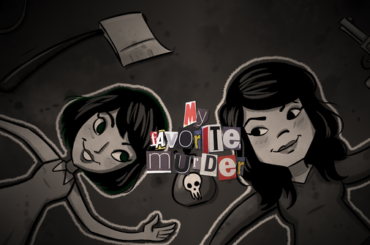 Okay, so some of the episodes are not appropriate for our youngest, our daughter, “D.” We have had some interesting conversations after watching more than one of the episodes. There was one summer that we binged all five seasons (at that time — now there are eight). 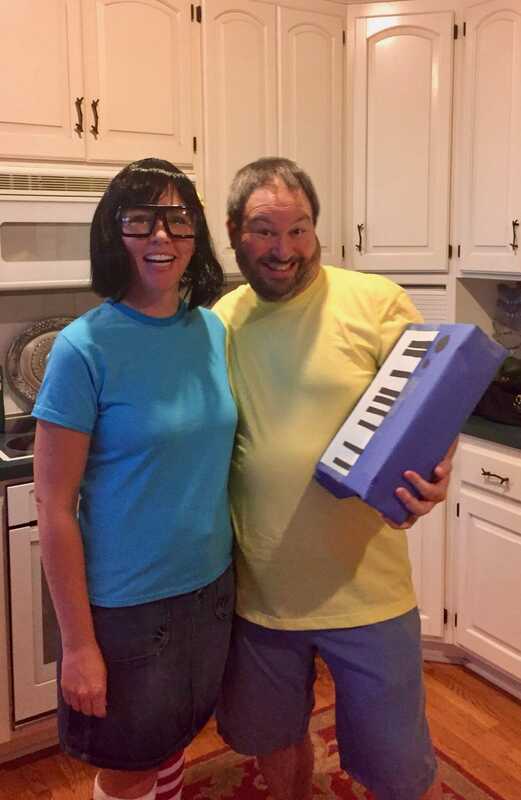 We are such fans that Brent and I dressed like Gene and Tina for Halloween. None of our friends knew who we were. But when they showed pictures from our evening to their kids, the kids knew exactly who we were. It is so funny that we could watch it over and over again and be in tears from laughing every time. He: How Linda purchases the booze is every bit as funny as their accurate portrayal of a screaming hangover. 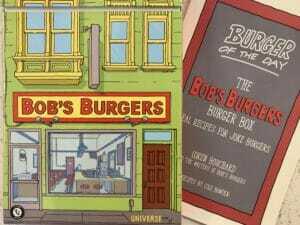 In every episode there is a burger of the day at their restaurant. 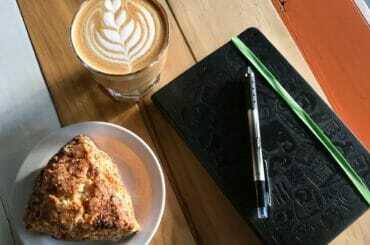 They are posted as creative specials that are always fun to read. It reminds me of how The Simpsons would have the characters land on the couch a different way at the beginning of every episode. Anyway, my friend Nicole — knowing our love of the show — gave us a Bob’s Burgers Recipes box with 26 recipes of special burgers from the episodes. He: For one so inclined, more than 100 recipes could be created. We decided to try them on a regular basis. With 26, we could commit to every other week, but we’ll likely stick to once a month. There are some that I’m really looking forward to trying, like “If Looks Could Kale Burger” (I mean how can you go wrong with Gruyere cheese). And there are others I’m not so sure about — “Rest In Peas Burger” (NOT A FAN of peas). 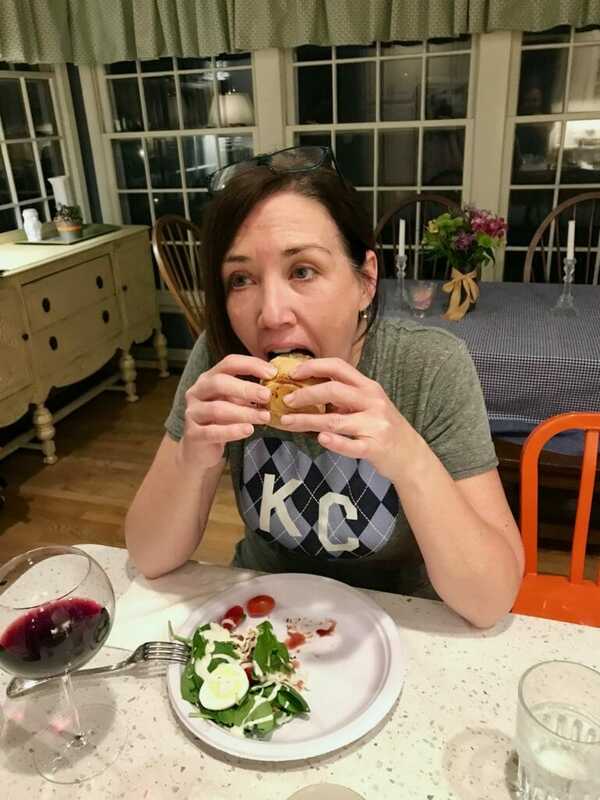 A few weeks back, we tried our first burger. 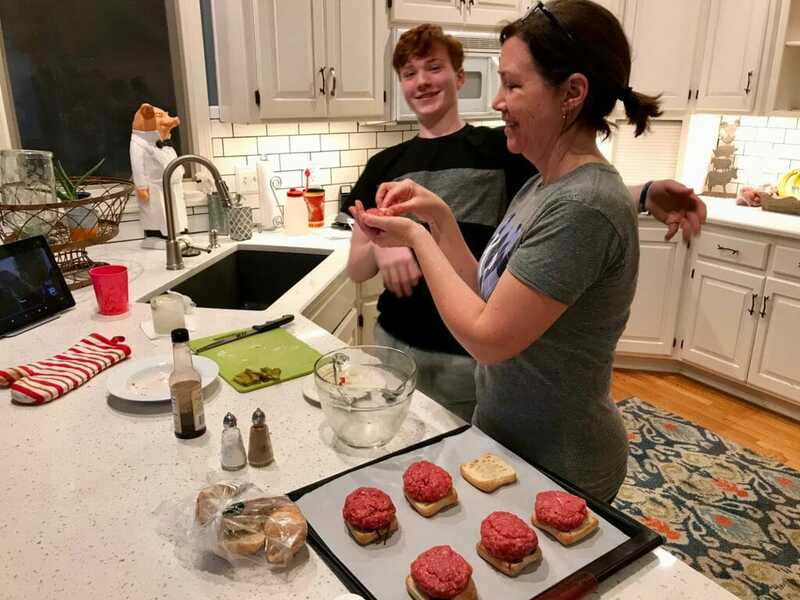 We posted three recipes on Twitter and put it to a vote on which burger we would make that evening for dinner. 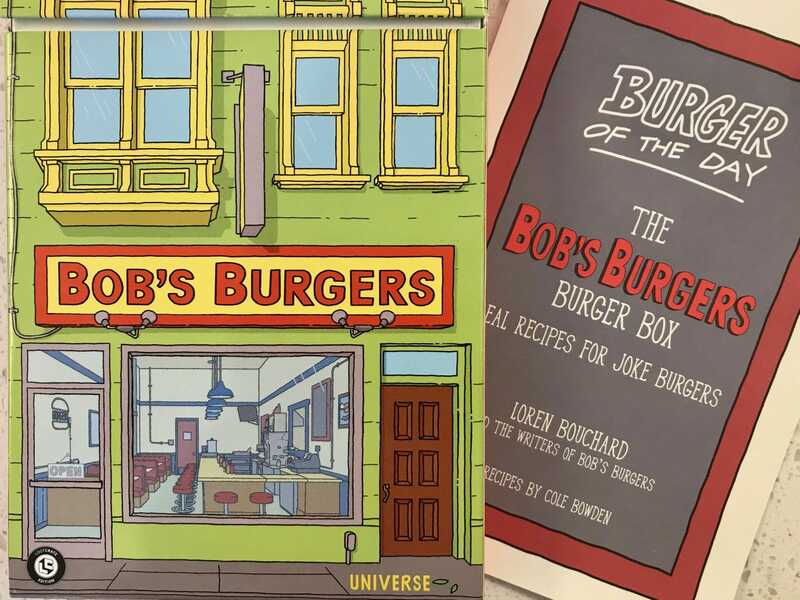 And The Inaugural Bob’s Burger Winner? “Free to Brie You and Me” won the Twitter vote. And I prepared them that evening. Overall, the four of us really liked them. My only comment would be that I wanted more brie. 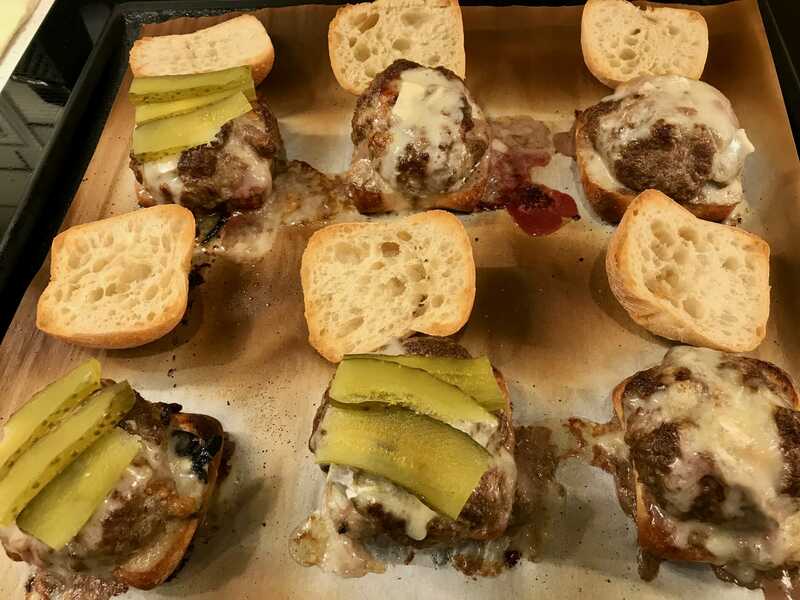 Stuffed in the patty, the brie ends up melting into the burger and I wanted more cheese. So, we’re thinking that once a month we’ll pull a card from the box and a give it a go. 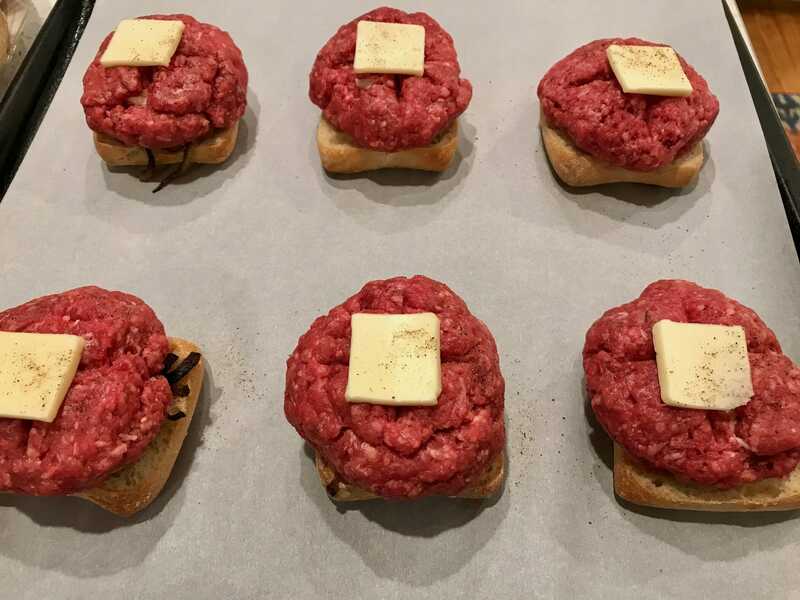 We will keep you posted on the next sampling of the Bob’s Burgers Recipes.